Just in time for the Sun ‘n Fun International Fly-In and Expo, Hartzell is rolling out two and three-blade versions of its Trailblazer advanced composite propeller, a new prop specialized for backcountry flying. The Trailblazer is a swept-tip carbon fiber propeller for experimental aircraft and several certificated planes. It is designed to improve takeoff acceleration and climbing speed, allowing aviators to takeoff more easily from backcountry and bush environments. The Trailblazer is compatible with numerous certified and amateur built aircraft. The two-bladed version works with most Lycoming 360 and 390 engines, while the three-bladed version is designed for aircraft with higher horsepower. Hartzell is currently pursuing installation approval for the Trailblazer from a variety of aircraft manufacturers. Like all of Hartzell’s advanced structural composite propellers (ASC-II) the Trailblazer is significantly lighter than an aluminum aircraft propeller, while remaining vastly more durable than a wooden prop. The secret of our advanced composite propellers is a state-of-the-art carbon fiber design, which allows the blades to be thinner and stronger than comparable props. Backcountry fliers, in particular, will appreciate the Trailblazer’s nickel-cobalt leading edge. This field-replaceable feature ensures greater durability for tough takeoffs and landings in the bush. The Trailblazer represents Hartzell’s commitment to push the boundaries of possibility in aviation. 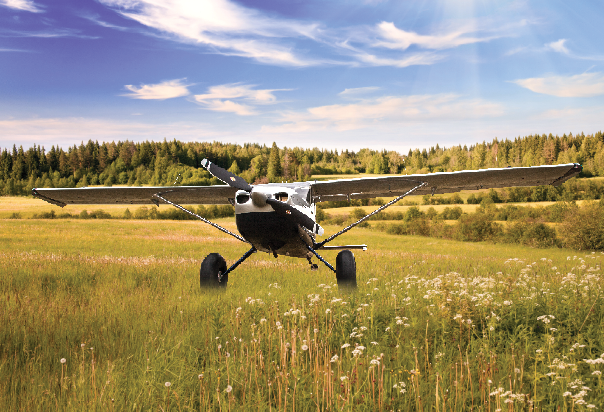 It’s name signifies the pilots that seek out pristine and untamed land as well as Hartzell’s never-ending pursuit of new and better propeller technology. The Hartzell team has been made up of trailblazers since the company produced its first propeller in 1917. Now, we are proud to support trailblazers everywhere in their pursuit of world’s great frontiers.